This book is the first edited collection to explore the role of philosophy in the works of Cormac McCarthy, significantly expanding the scope of philosophical inquiry into McCarthy's writings. There is a strong and growing interest amongst philosophers in the relevance of McCarthy's writings to key debates in contemporary philosophy, for example, debates on trauma and violence, on the relationship between language and world, and the place of the subject within history, temporality, and borders. To this end, the contributors to this collection focus on how McCarthy's writings speak to various philosophical themes, including violence, war, nature, history, materiality, and the environment. Emphasizing the form of McCarthy's texts, the chapters attend to the myriad ways in which his language effects a philosophy of its own, beyond the thematic content of his narratives. 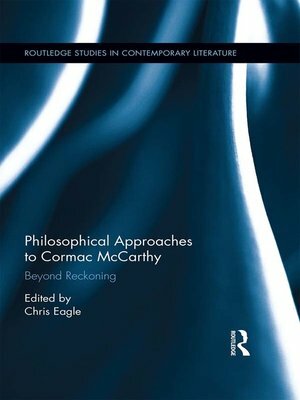 Bringing together scholars in contemporary philosophy and McCarthy Studies, and informed by the release of the Cormac McCarthy Papers, the volume reflects on the theoretical relationship between philosophical thinking and literary form. This book will appeal to all scholars working in the rapidly-growing field of McCarthy Studies, Philosophy and Literature, and to philosophers working on a wide range of problems in ethics, aesthetics, epistemology, Philosophy of Nature, and Philosophy of Film across ancient, modern, and contemporary philosophy.